Looking for something emotional? Bandai Namco are delivering just that with 11-11 Memories Retold. Available from today for Xbox One, PS4 and PC players to immerse themselves in, 11-11 Memories Retold launches as the centenary of WWI takes hold. 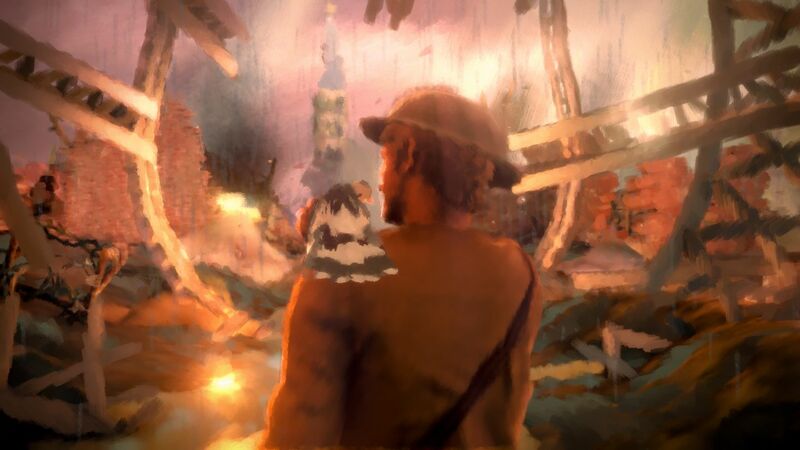 A narrative driven experience that has been created in collaboration with Aardman and DigixArt, 11-11 Memories Retold is a WW1 experience like no other, delivering a hugely emotional tale that covers the stories of those affected by both sides of the front lines from 100 years ago. This will see you controlling Harry and Kurt, a young Canadian photographer and German engineer respectively, letting you in on their worlds. It is all brought to life with a stunning and rather unique painterly style, with the voice talents of Elijah Wood and Sebastian Koch playing out Harry and Kurt. All of this is accompanied by an orchestral score from composer Olivier Deriviere, that will guide players through moments of both peace and despair. “This is a very special game for a very special moment. Player will face choices, some with small consequences and some with big. This is a game about life during war, both on the battlefield and beyond” said Yoan Fanise, Creative Director of 11-11: MEMORIES RETOLD, DigixArt. You can grab 11-11 Memories Retold from the usual digital stores right now for £19.99. We personally prefer the Xbox Store but the choice of format is entirely yours. Further to that, there is also the chance to support the WarChild charity with the purchase of some addition DLC. This tells the story of two kids, Jack and Eva, as they head through a series of moving letters, drawing and photographs inspired by real life stories of children supported by the charity. This add-on will cost you £3.19, but each and every penny of that will go to the WarChild charity, helping children forced to live with the brutality of war around the world.